Who knew that the vengeful Todd would escape, then conjure a computer game packed with wolves, wenches, wastelands, and assorted harrowing hazards - and trap his hapless former friends inside it? Stripped of their magic powers, the would-be wizards must brave terrifying dangers, technical glitches, and one another's company if they want to see Medieval England - and their favorite sci-fi movies on VHS - ever again. Can our heroes survive this magical mystery torture? Or will it only lead them and their pointy hats into more peril? ©2015 Scott Meyer (P)2014 Brilliance Audio, all rights reserved. Honestly, I'm actually a bit surprised that the overall consensus is positive for Book 3. That being said, most folks that I know personally would've also been disappointed, so I don't know who would enjoy it more than I. Has An Unwelcome Quest turned you off from other books in this genre? What three words best describe Luke Daniels’s voice? What character would you cut from An Unwelcome Quest? It's funny... I didn't like the initial introduction of Ron, but he was by-far the least annoying in Book 3. Even funnier? Neither was Jimmy... I was actually rooting for Jimmy & am glad he moved on. If I were to cut anyone, it would be either be Brit the Younger or Gwen (but ONLY in Book 3). YOU LIKED EACH OTHER LESS. Their is some science fiction in this, but it is mostly about having fun. There is some fantasy, but is more about fun. There is a lot of gaming, but also a lot of fun. This whole series was a blast. I liked this book better then number 2, but not as good as number 1 and that is the way most trilogies go. One ironic situation, that I am not sure the author realized, was when he as making fun of movies these days and how they are all sequels. He complains about it in his third book of a trilogy. This book was more about gaming than the others. The whole story is a game within a game. Similar to Player One. Luke Daniels is to Scott Meyer, as Frank Muller is to Stephen King, Ray Porter is to Jonathan Maberry, Wil Wheaton is to John Scalzi. He is great. I loved the previous two installments of Wizard 2.0; Off to be the Wizard and Spell or High Water. The storytelling is great, they are packed with thoughtful, (mostly) likable characters with great chemistry, and they’re hilarious. Plus, Luke Daniels is fantastic in his performances. Listening to this was a no-brainer and I was thrilled when I saw it was next on my to-read list. Now, I’m just upset I didn’t give it a listen sooner. In my opinion, this is the best of the three. Scott Meyer hit a home run. It’s movie night in 12th century England and the Wizards are about to start their second feature. Suddenly, four of the wizards disappear in a blink, leaving Martin and Roy dumbstruck. Phillip, Tyler, Jeff, and Gary along with Jimmy was who was not present for movie night, are teleported to the peak of a mountain. The first wizard that was ever exiled is back and he wants revenge. He has created a deadly game in which the wizards must overcome “perilous” obstacles, complete quests, and journey to their destination: The Chasm of Certain Doom (insert thunder and lightning here). Meanwhile, after discovering their friends have had there powers stripped, Martin and Roy seek advice from Gwen and the Brits. Assuming the worst they teleport to the same location as Phillip and the others hoping to help them. Both groups set off on the same adventure taking on the same hazards, overcoming the hurdles in different and extremely entertaining ways. As with the first two, this volume takes on serious premise while keeping it’s trademark humor. It’s still a lighthearted read, poking fun at the tedious mechanics of a bad game you inexplicably must finish, or not so subtly pointing out, and living up to, cliches you see in so many novels and video games. As always, the dialogue between the characters is fantastic; complete with witty banter and serious conversation, it adds depth to the characters. Which is key because this is definitely a character driven story, and those characters drive a Porsche. Characters brought to life and made even better thanks to the performance. Luke Daniels takes the helm again as the narrator or, more accurately, performer. His range is incredible, whether it’s a man, woman, or child the voice is always distinctive and fitting for the character. His delivery is phenomenal nailing emotion and emphasis uniquely for everyone. I’ve had the pleasure of listening to a couple other of his works and have been impressed every time. This humorous series is well worth your time if you’re in the mood for something fun and lighthearted. 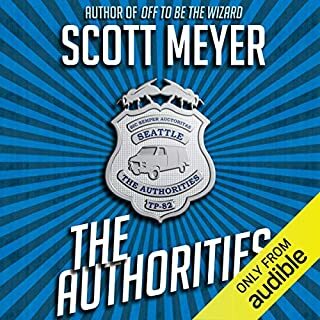 Scott Meyer and Luke Daniels have a great rapport that shines through every sentence, leaving you involved and immersed throughout the entire series. Nowhere near as engaging as the first 2 books in this series. still an entertaining story. Firstly, while the author had only been signed on for a three book deal, it is my sincere hope that they sign him up for another three as soon as possible, as I thoroughly enjoy this series. 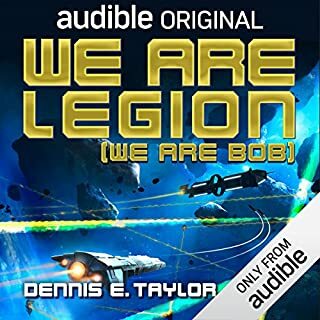 The audio books are especially enjoyable, and the narrator's performance has a great range, and comedic timing to support the story. This entry had a few systemic problems, in that the cast of protagonists spends almost the entire novel seperated into a few groups, which caused me to miss some of the enjoyable banter, especially between Phillip and Martin. Secondly, These groups are chasing each other, which sometimes leads to some enjoyable differing takes on situations and misunderstood aftermath, but too often feels repetitive. Thirdly, the villain is rather bland despite being hyped and foreshadowed in the previous two books. Finally, this entry had a more somber subjects than the previous volumes, with less gee-whiz wonderment, and more ruminations on loss of trust, the many faces of sexism, and toiling labor, which sometimes was at odds with the tone of the writing. 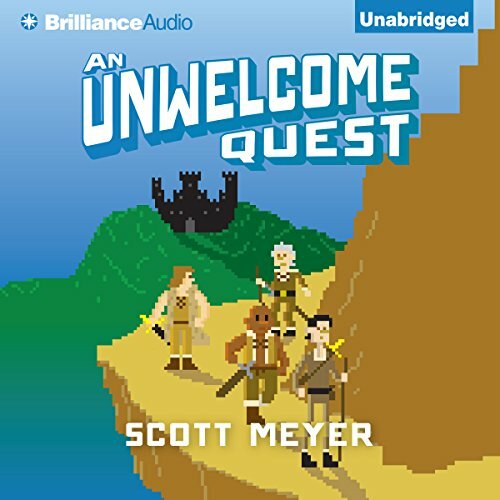 Overall, I still enjoyed Unwelcome Quest. The secondary cast gets more time to shine, especially Tyler, who became very enjoyable. The changeups are not unwelcome, the characters remain enjoyably true to who they are, and the writing is still amusing. Please continue this series, I look forward to seeing what comes next. I LOVED the first two books. This one just dragged. I was so disappointed in the lack of real content. There was so much filler it took me ten times longer to finish it than normal. Too bad. Decent ending though if you can get to it. Good laughs, GREAT narration, just not as enjoyable as the first two. I'm sure it's hard to recreate the wonder of discovery when the file is first discovered, but that, and the cultural comparisons are what I enjoyed the most in this series, and those elements were a little thin in this one. Still looking forward to more! I was skeptical about this trilogy because it didn't seem like my type but I'm so glad I picked it up. by far one of the best narrators ever who did a fantastic job with all of the characters and dialog. Not nearly as good as the others. Too much dialogue explanations, too much idiocy, even if that's what the author intended. I loved this book. It took me way back to my days sat at my computer playing quests. Another very well written and performed book on this series. Love this series of books, I really hope there are more to come. Well written, very funny. Great characters read excellently. 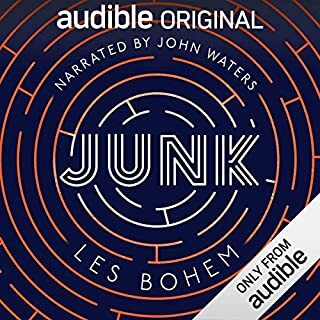 "We will gloss over Philips English accent"
I absolutely love the narration of these books. Each character is ready with a unique pazazz which is really engaging. The story was fun, nonsense yet again - although I enjoyed the "real-world" element of the 2nd book a little more than this "in game" world. I would recommend this series to others. An easy listen, though aspects of the story made it a bit repetitive at times. Having enjoyed the previous 2 book I was looking forward to this one. However the story seemed to lack substance and if I was reading it I would have put the book down long ago. I hope the next one returns to previous form. Keep it coming, great production. Hope to hear more from the team. Very very cool. 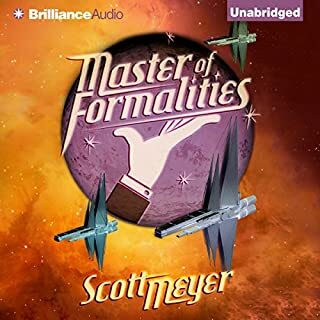 Continuing in the excellent style of the series we get a creative story, with lots of great geek-references, familiar and fun characters and some interesting social and philosophical discussions. Great book but probably the weakest thus far. Love the characters in Magic 2.0 but this books story let it down a little i feel. I love the Magic 2.0 series. I think this is my least favourite of the three, however, but that's because I love the Martin/Phillip dynamic and in this book they spend a lot of time apart. The quest structure was also a little frustrating at times, but it did also open up many opportunities to explore different possibilities in this universe. But there are still loads of great moments in this book, and you also get to know a lot of the secondary characters more, which was good. Personal favourite moment: the Tree Wolves (I may or may not have scared an old lady on the train when I loudly bark-laughed at this...). I would definitely recommend! 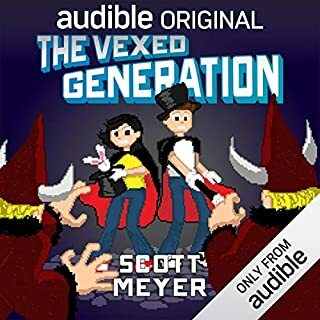 As was the case with Book 2, still great characters with funny and emotional interactions, but the story does not live up to the pace and content of Book 1. I thought it was a good take on the whole RPG angle but a lot of the story felt very repetitive, given the different points of view between the groups on the quest. Despite this, parts of the story were quite enjoyable and overall it was worth listening to. Looking forward to Book 4! Was still entertaining, but I feel the first two books were better. Due to the narrative, it was quite repetitive. There were very few new characters or development, just building on old themes. Great performance let down by a shaky story. Great character performances throughout. Unfortunately the story was not as good as the first two in the series. Disappointing. I feel like a kid again, well, teenager perhaps. 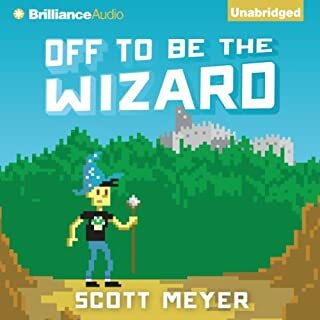 I'm just loving this series, it's as though it was written for me and my boys ...and that's good too to have been able to share And talk about computer magic with my sons. Scott, there aren't many left, more please ?! I've really enjoyed all the books in this series and hope they continue to get released. fun characters and an enjoyable romp with sci fi / fantasy coating. This was a fun book but was very repetitive. Not as good as the others. I really enjoyed this book. All 3 books in the series are great with a different storyline, so they quite unpredictable. I really enjoyed the storey and I love the whole concept of a computer generated world. I am looking everywhere for the code.